Indulge yourself in the ultimate transformational facial experiences to reveal your beauty from within. I highly recommend Renee’s facial services, her healing presence gives me the complete package every single time physically, emotionally and spiritually. My skin has gone from a dry prune to a smooth velvety radiant texture. Renee explained in detail how my skin functions and how I can change it by using Montaser Cosmeceuticals. I am so glad I trusted her because my skin is in such great condition, everyone comments on how good I look now. I have been going to Eternal Elegance since Renee opened. I would not trust anyone else! Renee has a knack for being able to connect with her clients and in turn provide the most amazing facial experience. I always leave there feeling wonderful! I’ve been having a Montaser facial monthly with Renee for over a year now, and my skin has never felt better! I have no congestion and those pesky signs of ageing that turn up around 30 have diminished. I love that the products are all natural and I’m not using harmful chemicals on my face! Renee has many years experience in everything beauty. Her facials are bliss and she is nothing but professional. I am never disappointed when leaving her salon. I would highly recommend for anyone to try her out because her attention to detail and comfort, means you will be satisfied with your treatment every time. She is great at everything! I received my first ever facial peel (first facial of any kind, in actual fact!) from Renee on the weekend and have never seen such a difference with my uneven skin pigment as I have with just one visit. I will definitely be a regular client and would recommend the experience to absolutely anyone. It’s such a warm, welcoming and relaxing environment and Renee is an absolute peach. Oh my gosh absolute pampering with the Facial. I have not had a facial like this – was so special. I feel a new woman ready to take on my kidlets again! I will be back!! Two different friends at work now have commented on how great my skin is looking. I’m absolutely loving the products & can’t wait for my next facial. My 13 year old is a client of Renee’s. 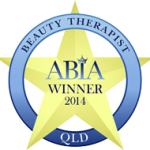 Renee is kind, knowledgeable and offers quality advice. In three months her skin had calmed and her confidence blossomed. Thank you again Renee for a truly amazing experience. I highly recommend the Divine Signature Facial, and add the AHA peel, you will walk away feeling like brand new you. This is more then a facial this is pure pampering! I decided to take time out and spoil myself with some time out with Renee. I honestly can highly recommend anybody needing some real attention go for the Absolute Elegance Treatment!! AMAZING… I added in the peel just to take a few years off before my upcoming wedding. Great work Renee! At Eternal Elegance I’m passionate about helping you achieve your best skin ever! Your treatment is a chance to escape the pressures of daily life and take time out for yourself, through a range of treatments aimed at treating and restoring your skin from free radical ravages. Each appointment is designed to take you through a deep healing, using Reiki and Applied Kinesiology techniques, healing from within where cellular changes begin. 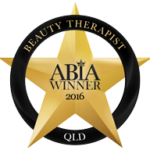 I offer skin consultations in a range of facial treatments, including organic facials and derma rolling that treat, soothe and repair. I use & recommend the exceptional Montaser Cosmeceuticals’ range which have developed highly efficient formulas that are composed of active molecules designed specifically to combat the effects of ageing. Let me take care of you today. Australia has one of the harshest environments on the planet for human skin. Montaser Cosmeceuticals’ have developed highly efficient formulas that are composed of active molecules designed specifically to combat the effects of free radicals. The best that nature and science have to offer. 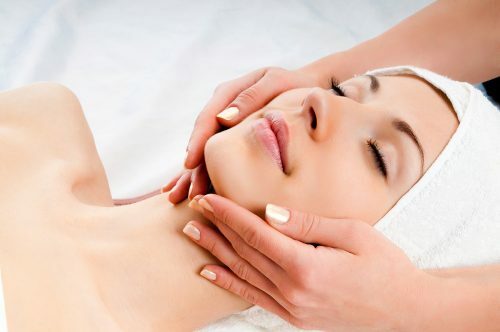 Relax and indulge in the ultimate relaxing facial experiences. Eternal Elegance is a proud member of the Australian Bridal Industry Academy. 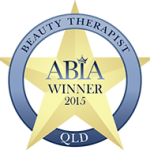 In 2014, 2015 and 2016, we were fortunate to win awards for first place in the Beauty Therapy category for Queensland. Isn't it time you indulged? Other times are available by appointment only and are subject to change at any time.